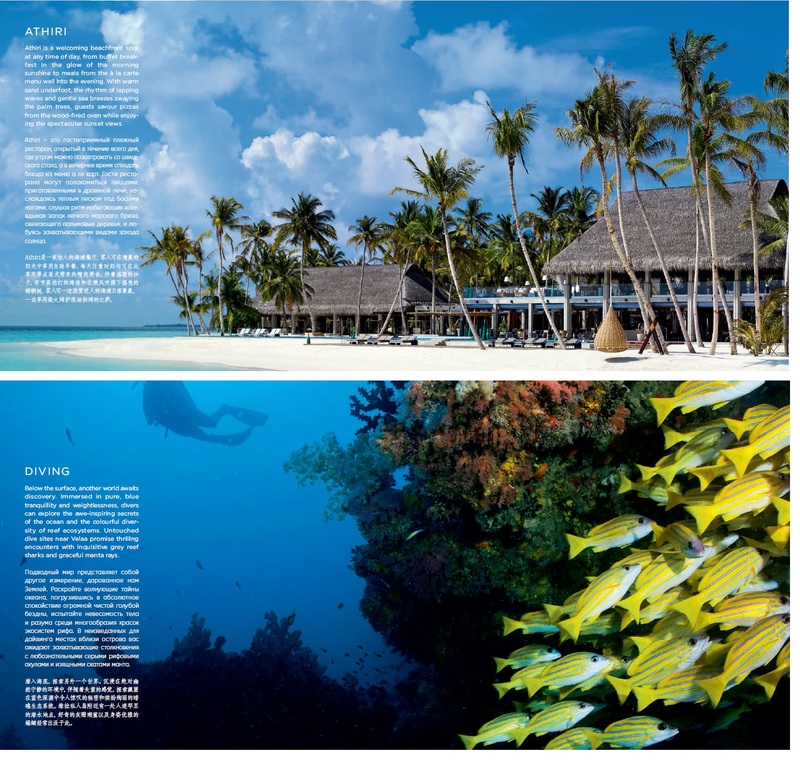 In late 2015 I wrote all the copy for a 220-page coffee table book by teNeues Publishing Group about Velaa Private Island, a ridiculously gorgeous resort on an island in the Maldives. My text was then translated into Chinese and Russian, resulting in a trilingual book to reach an international readership. The beautiful hardcover volume features an array of colorful photographs illustrating the island and its many lux amenities.